an otherworldly flare that no other contact lens could provide. Find chronicles of riddick contact lenses that look like mirror tinted contact lenses today and wear them for up to a year. They look really amazing on and you can scare a few of your friends with them! 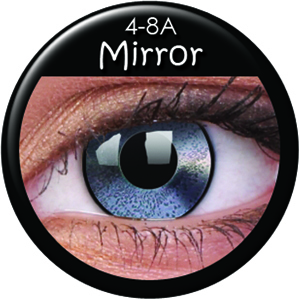 If you love science fiction movies then you will love these mirrored contacts because it will give you the feel of a live action film from the 28th century just like where Richard B. Riddick comes from. He is the main character in the film. Be a part of that universe in which they take place. These Mirrored Contact Lenses will help you achieve this.